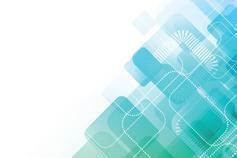 KPMG is a professional services firm with a global reach and deep expertise in Audit, Tax & Legal and Advisory. Welcome to KPMG. We are a global network of professional firms providing Audit, Tax and Advisory services across a wide range of industries, government and not for profit sectors. We operate in 153 countries and territories and have 207,000 people working in member firms around the world. We bring in multidisciplinary capabilities, knowing how to balance the strength and consistency of the KPMG global network with the passion of local relationships and delivery. In Albania, KPMG has a tradition of professionalism and integrity, combined with our dynamic approach to advising clients in a digital-driven world. KPMG in Albania, was established in 1996 and is currently one of the leading professional services firms providing Audit, Tax & Legal and Advisory services in the Albanian market. Since March 2005, we have been operating in Kosovo through our office in Pristina. Presently we have more than 50 dedicated professionals in our offices in Tirana and Pristina. 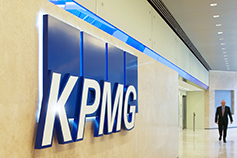 KPMG in Albania also forms part of the firm’s network in Central and Eastern Europe and operates within the KPMG in the Balkans cluster, comprising of the KPMG offices in Bulgaria, Albania, Kosovo and North Macedonia. We work by a set of values that enable us to live out our purpose of inspiring confidence and empowering change for our clients, our communities and our people. Beyond our clients, we seek to be a good corporate citizen making a real difference to the communities in which we operate.